TokenMarket is proud to announce its new decentralised exchange will be coming in late 2018. 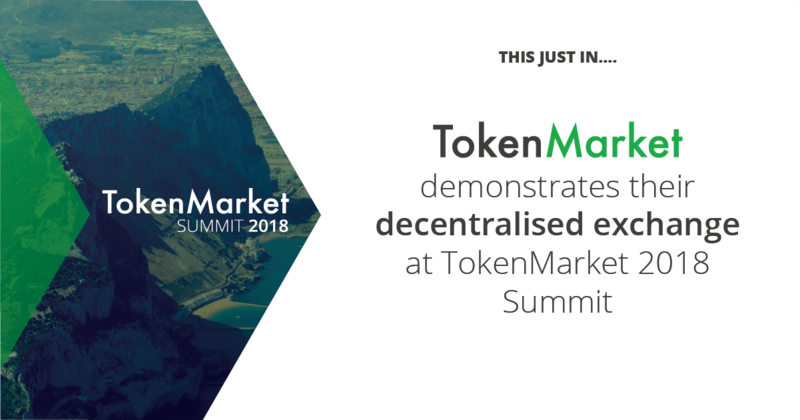 The announcement made, by CTO and Co-Founder Mikko Ohtamaa at the TokenMarket 2018 Summit, will see TokenMarket delve into the world of crypto trading all on a decentralised network. TokenMarket’s decentralised exchange will see users be able to trade cryptocurrencies for fiat currency, without having funds go through a controlled and centralised network. With this new announcement, TokenMarket can add a decentralised exchange network to it’s ICO advisory, token issuance and ICO calendar services. The development of the TokenMarket brand and services means that it is fast becoming one of the most diverse and all encompassing enterprises in the crypto space. The TokenMarket decentralised exchange will be released later this year, be sure to keep checking our website for the initial release date.